I'm a pretty big Wolf Parade fan, so when I got the latest (although a year old now) Sunset Rubdown album in the post I was puuuretty pleased. 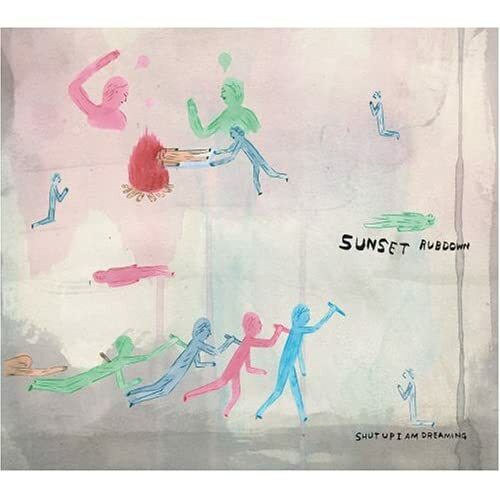 Sunset Rubdown is the side project of Wolf Parade vocalist/songwriter/keyboardist Spencer Krugg, and has grown from a one-man experimental thing to a multi-album full band setup. Indeed their third LP Random Spirit Lover is on the way in October, which is pretty impressive considering Wolf Parade are still yet to announce another album! This was one of my favorite albums of 06. Apologies To The Queen Mary was one my favs of 05. I can't wait to hear Random Spirit Lover, and the new Wolf Parade whenever that bad boy comes out. Krug is such a poet, and so unrestricted it's remarkable. You know everything he's doing is coming straight out of where he wants it to come, and not where he thinks it ought to. How many years before we see a Spencer Krug curated ATP do you think?